The McChord Air Force Base chose turf that was built to withstand the strength of the air Force, they chose a turf made to last. 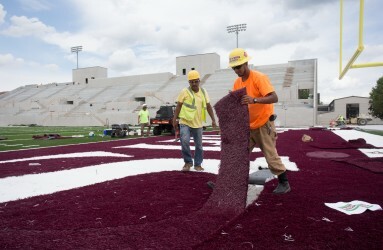 When they decided to use Sporturf™, they chose a company whose values mirror their own. Sporturf™ is the epitome of integrity, service and quality; easily demonstrated by our superior Silverback™ technology. 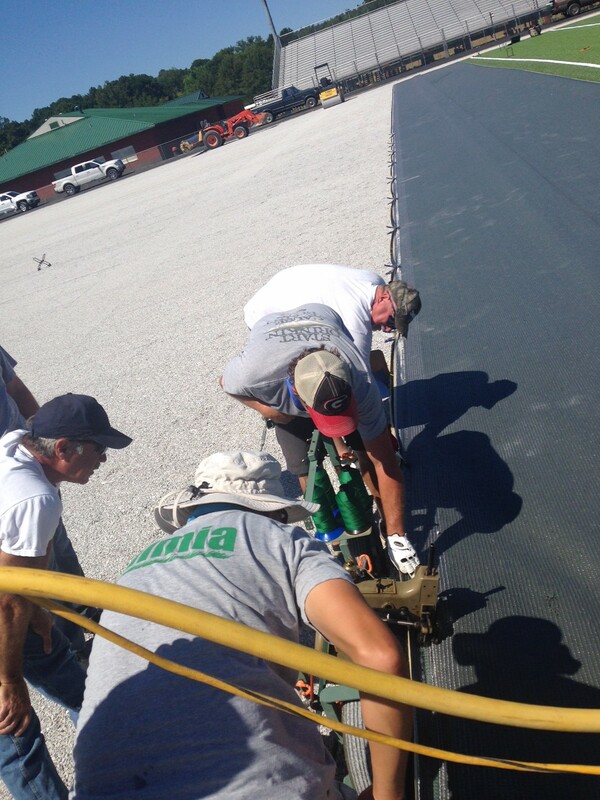 Silverback™ is the result of our specialty Polyurethane backing recipe. 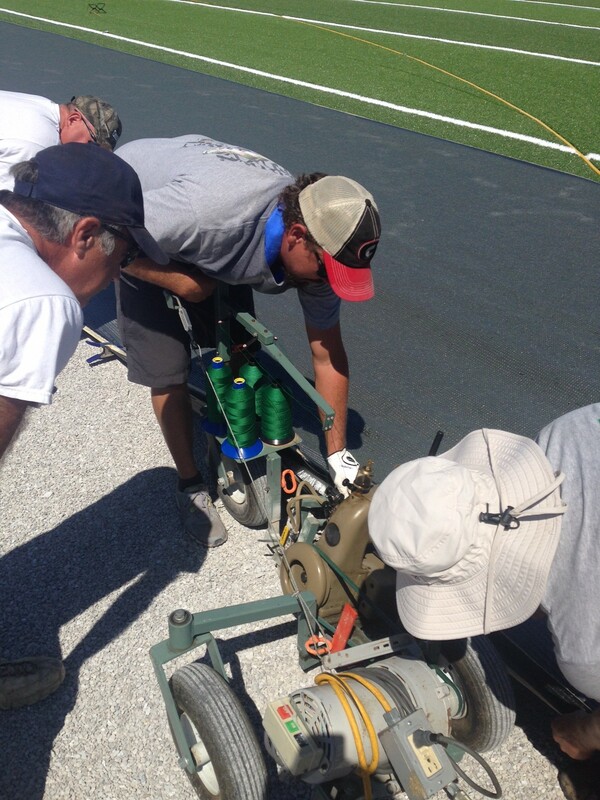 Silverback™ coating saturates the primary backing of the synthetic turf and effectively locks the turf blades in place. 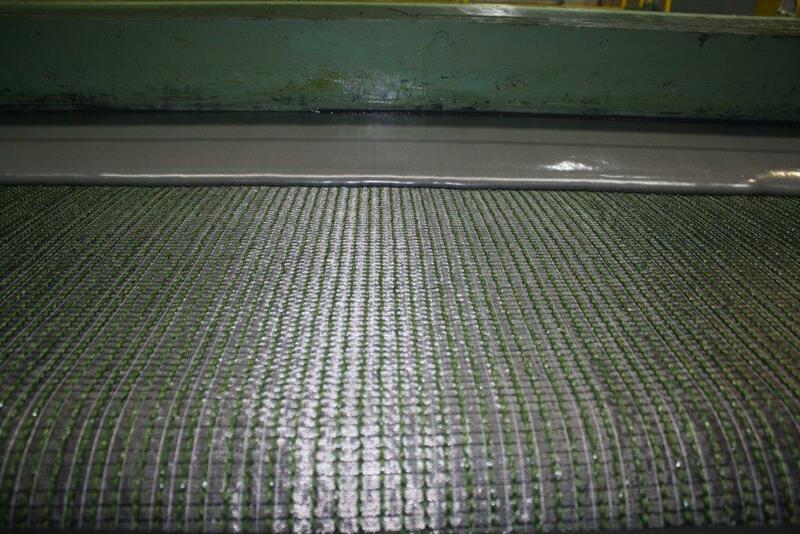 While most polyurethane backings are a coating simply scraped over the primary backing, Silverback™ actually penetrates into the tuft, surrounding every stitch locking the fibers into the primary backing. 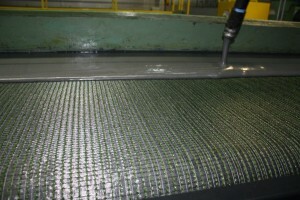 This process produces tuft lock well above the industry standard. The components that make up Silverback™ are simple. It is, at its core, a heat activated polyurethane with zero vegetable based polyols, forming the best polyurethane backing available in today’s market. When you have Silverback™ as your backing you know you have the quiet strength required by today’s consumers, regardless of the application. Back in January the College Football Hall of Fame had a visitor with his own right to fame. Snoop Dogg, American singer-songwriter and actor visited Atlanta’s College Football Hall of Fame for an exclusive screening of his TV series, “Snoop & Son: A Dad’s Dream.” The series focuses on Snoop’s relationship with his son Cordell Broadus while Cordell decides which college he will play football for. The Milwaukee Wave took the field for the season opener on December 6th against the St. Louis Ambush on a brand new state of the art Sporturf FastGrass AT740 turf system. 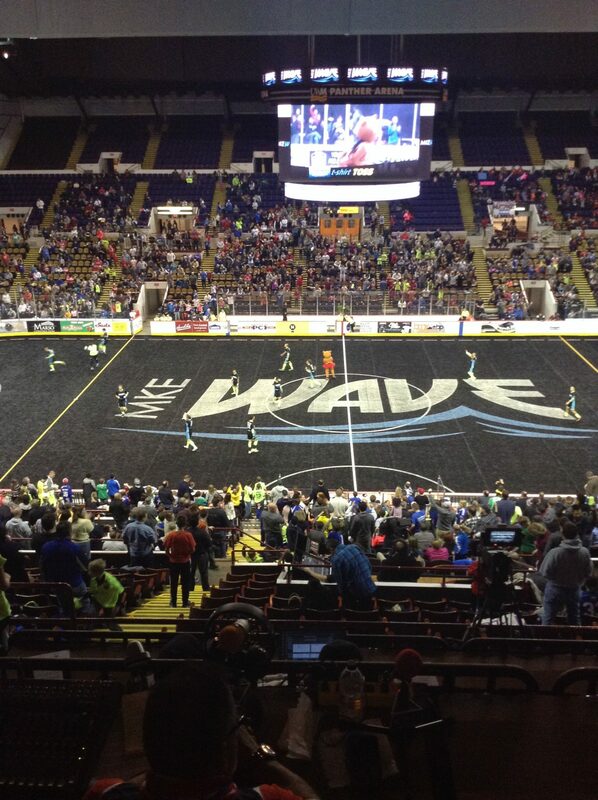 And if that wasn’t enough, team officials made the decision to purchase an all black field to promote the recent team logo and color change giving the Wave a unique home field advantage! The old abrasive “carpet style” turf was recently removed and crews from Sporturf descended upon the 12,700 seat UW Milwaukee Panther Arena to install the top of the line surface for the team. 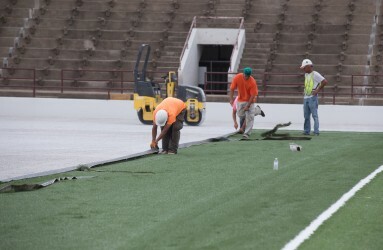 The players will no longer need to fear a slide tackle thanks to the skin friendly polyethylene grass blades and the non-infill padded turf will allow the players the ability perform like never before. The 5mm foam pad will provide the athletes with a soft cushion without compromising ball roll and ball bounce. 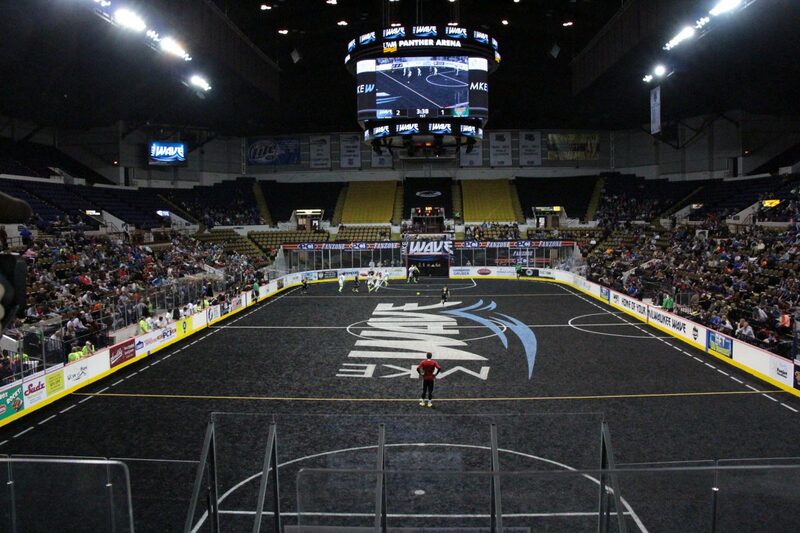 To say that we at Sporturf are excited to bring another Major Arena Soccer League (MASL) team into our family is a grave understatement. We’re proud to partner with the best! 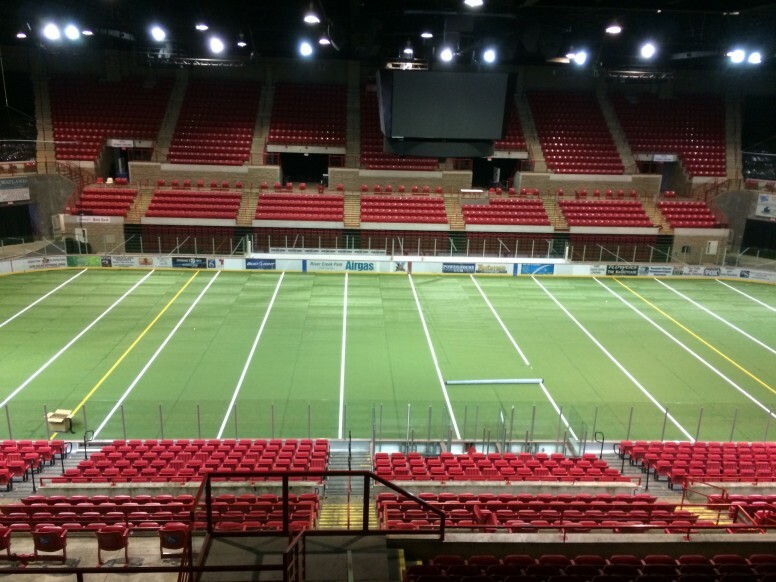 The Wichita Falls Multi-Purpose Events Center has upgraded the functionality and multi-purpose abilities of the Kay Yeager Coliseum with the addition of Sporturf FastGrass AT740. 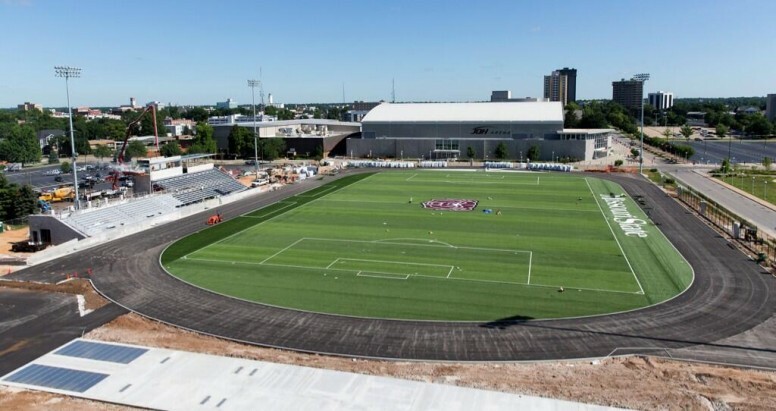 This high performance, non-infill, turf system will provide endless opportunities for the 6,500 seat venue to host any number of athletic practices and competitions. 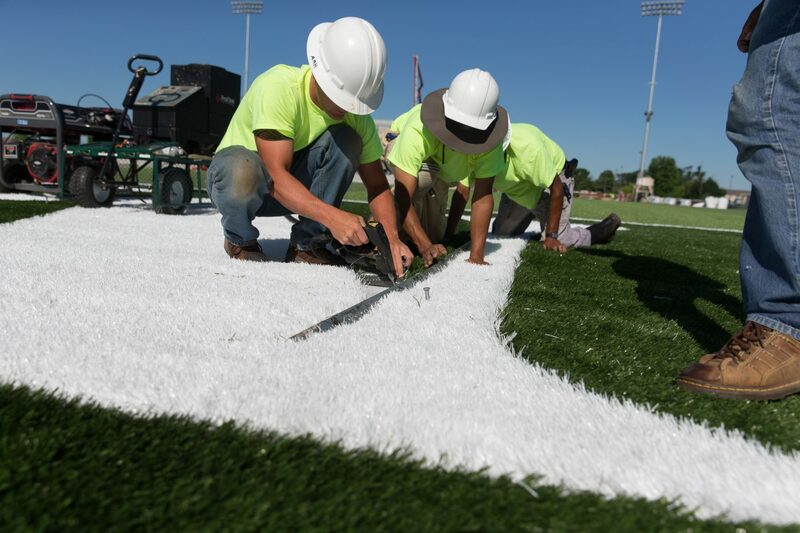 Comprised of an extremely durable polyethylene slit film, rugged nylon thatch layer and a 5mm foam pad FastGrass AT740 is top of its class in the non-infill category. 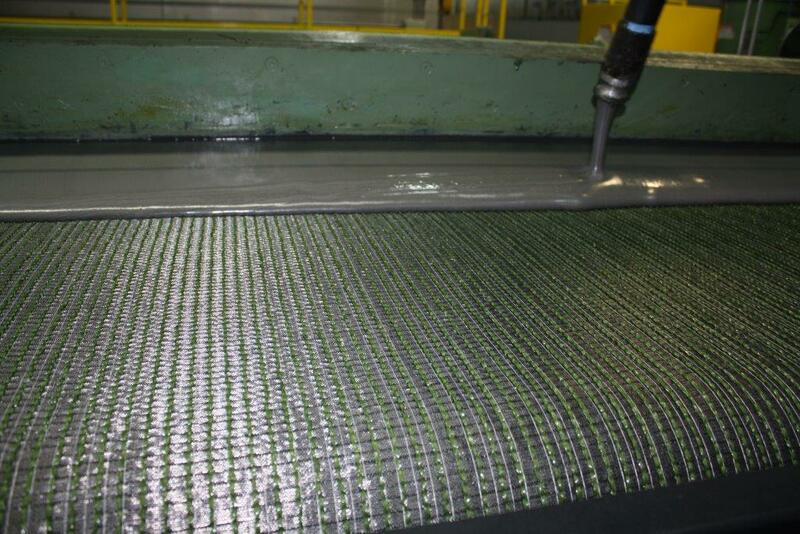 This product is perfect for a wide array of applications and can take a beating and come back looking for more! 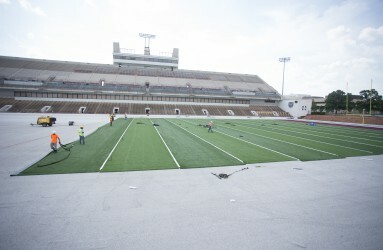 The installation was handled by the Coliseum’s in house crew who were trained and overseen by members of Sporturf Midwest. Installation was a breeze thanks to the Velcro seams that were factory sewn into each roll and allow for easy transition when the turf is not being used. The portability of FastGrass AT740 is a great fit for the Coliseum given that it plays host to everything from WWE Wrestling to Midwestern State University’s graduation all while playing host to the Wichita Falls Wildcats hockey team. The Touchdown Club of Atlanta is the 2nd oldest independent Touchdown Club in the country after the New York Touchdown Club, which sponsors the Aflac Heisman Trophy Award. Founded on September 26, 1938, when a group of fans decided to promote the game of football in the city, The Touchdown Club of Atlanta has continued its mission to promote and recognize the best of the best in the high school and college ranks. 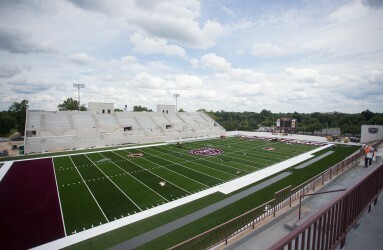 Sporturf™ was recently officially added to the USA Tips program. Tips is a purchasing cooperative serving public and private school districts, colleges, universities, federal, state, county and city municipalities. 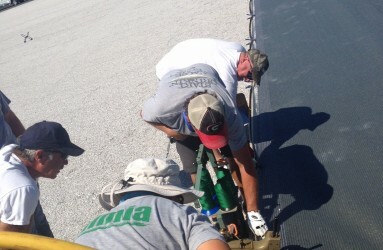 It allows these entities to select pre-qualified vendors like Sporturf™ for items they may need to purchase. With a successful award, Sporturf™ can expedite an order for a member because all purchasing requirements are completed during the RFP process. A school district or other TIPS/TAPS Member can benefit from the cost savings of time and expense in competitively bidding each purchase. Sporturf™ dealers can immediately use the program and pass along the benefits to prospective clients. 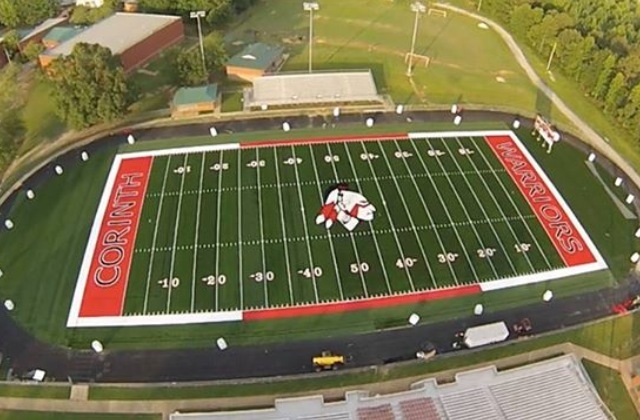 Corinth High School unveils new artificial turf field. 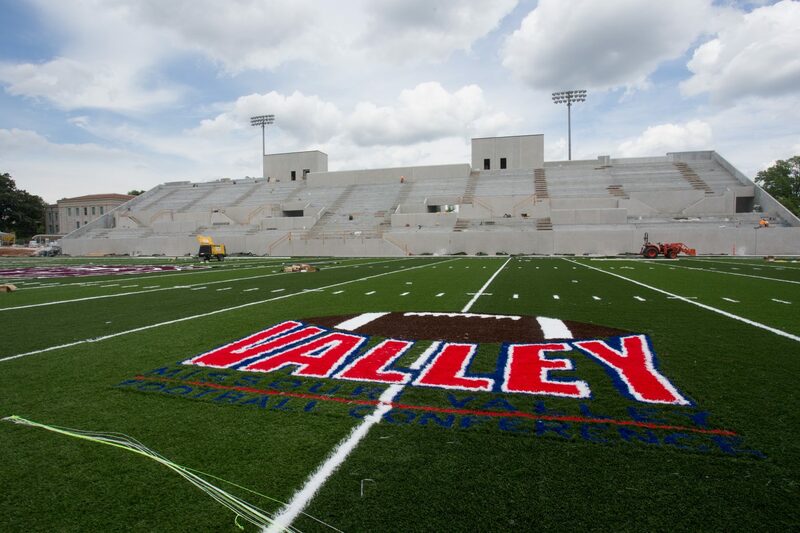 The new Sporturf™ GameChanger™ field boasts a fantastic midfield logo and end zone letters making a bold statement. Best of luck to all the athletes and coaching staff. Have a fantastic season on your new Sporturf™ artificial turf field. 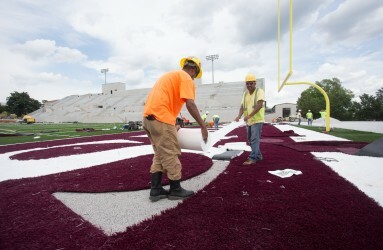 Missouri State football is completing installation of its new artificial turf football field. 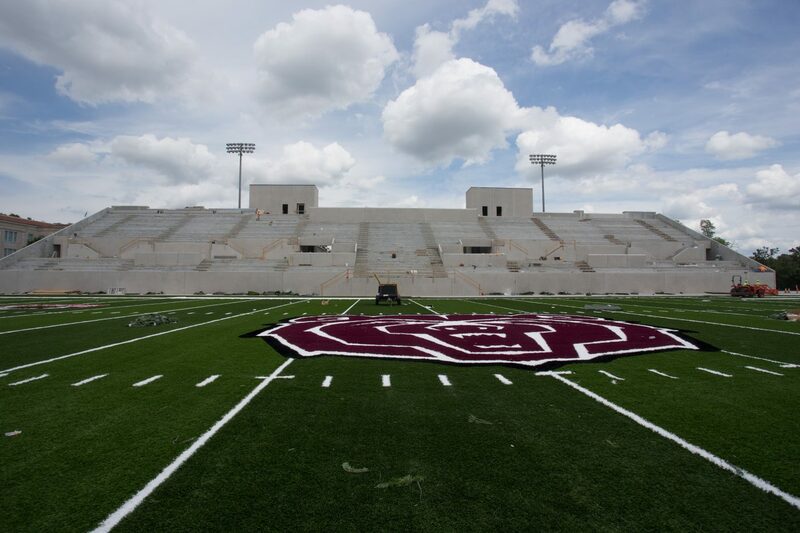 The stadium Plaster Sports Complex is a complete redesign the Hastings and Chivetta includes the new Sporturf™ GameChanger™ artificial turf. The GameChanger™ is a high performance surface providing players excellent comfort, speed and performance. 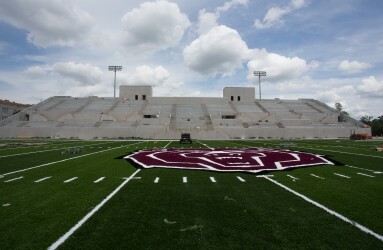 The distinctive massive Missouri State bear head stretches form 40 yard line to 40 yard lane. Sporturf™ Midwest is completing installation in time for the home opener against North Dakota. 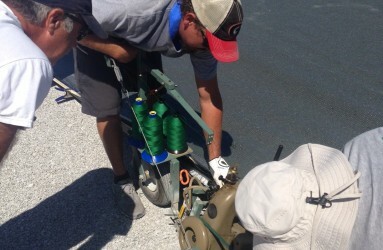 The new Gamechanger FL440 is so similar to natural grass players love the feel and play. 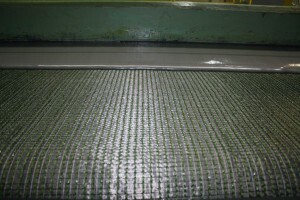 The advanced yarn provides great resilience and strength at the same time it has exceptional split resistance compared to conventional turf fibers. This increases the performance and sliding friendliness ball roll and ball bounce. Every players dream!